The new wing can shape-shift according to flying conditions. 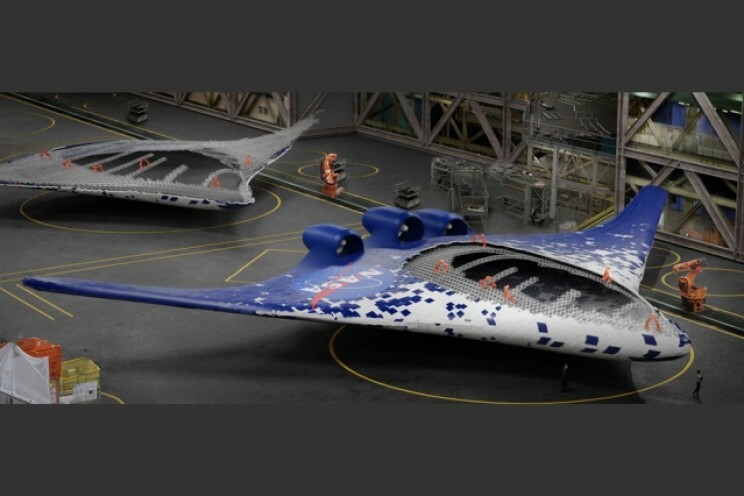 Assembled from very small identical pieces, the wing could enable more energy-efficient and lighter aircraft designs. Typical wing designs have separate moveable surfaces such as ailerons to control the roll and pitch of the plane. However, the new wing can move the whole wing or just sections to give greater precision control over movement. 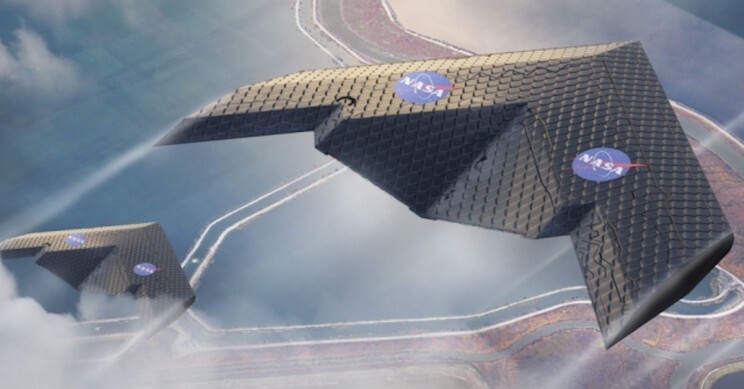 This new way of fabricating aircraft wings could enable radical new designs, such as this concept, which could be more efficient for some applications. The combined pieces form a “metamaterial” that is stiff like a polymer but extreme light like an aerogel. 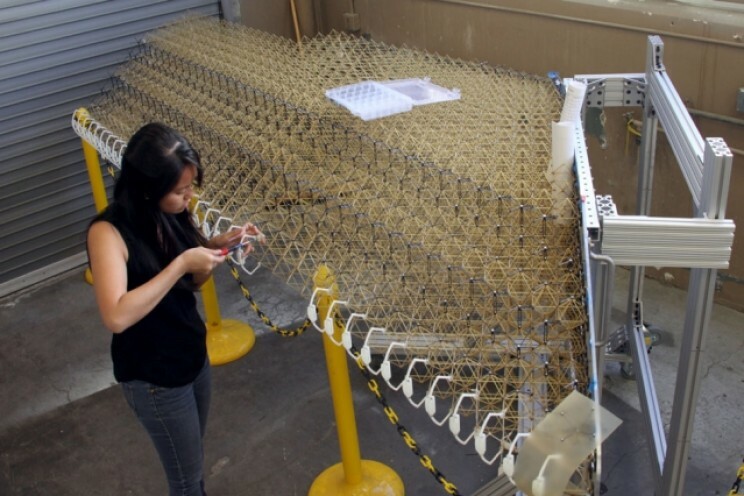 Wing assembly seen here under construction, was assembled from hundreds of identical subunits. 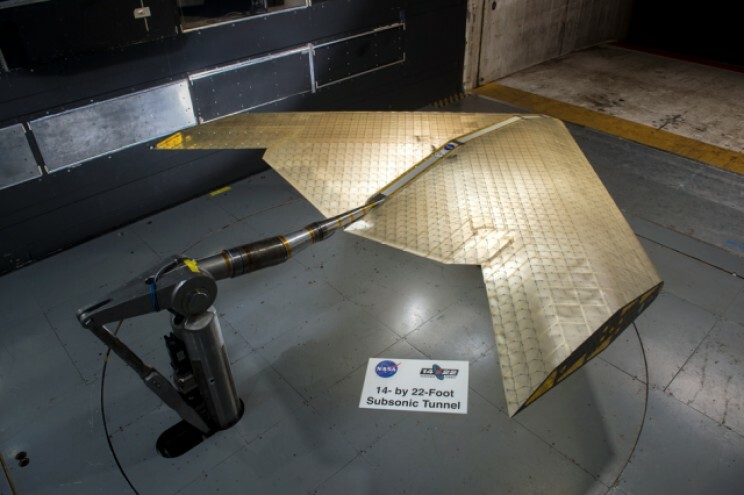 The wing was tested in a NASA wind tunnel.